Kitty care-givers everywhere prefer our ultra-durable cat house and condo designs. Your toughest decision? Choosing form over 100 powder-coated colors or our hand-polished stainless steel finish. When it comes to an adoption cat condo, cats need to be kept healthy, clean, safe, and stress-free. 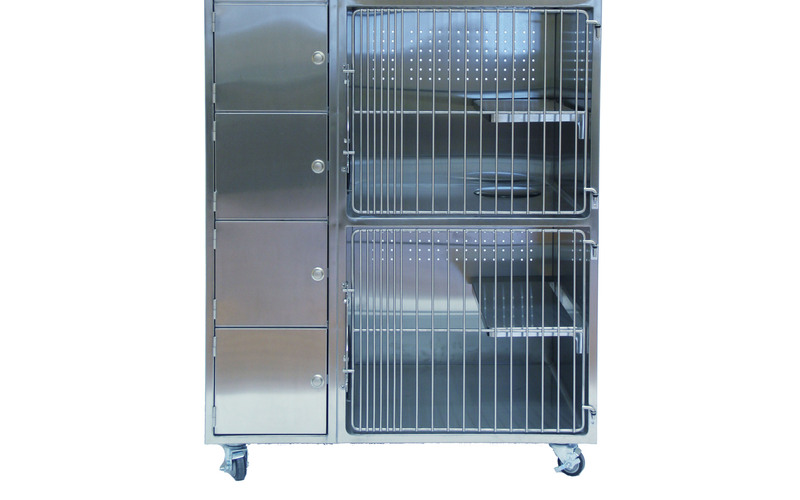 Groomers need cleanliness, convenient access, and secure design. 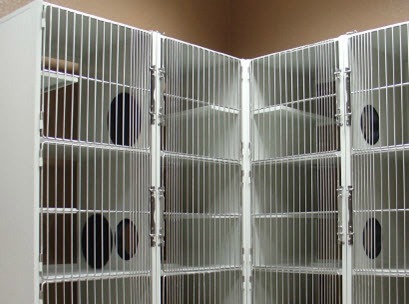 Our luxury cat condos are designed and constructed to meet the demands of both felines and groomers. Great grooming promotes health and well-being, and health and well-being promote kitty adoption. 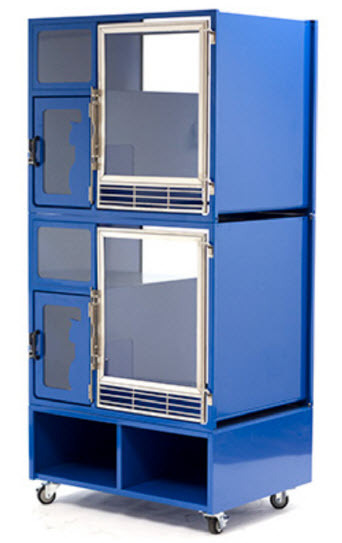 Select from more than 100 powder-coated colors or choose a hand-polished stainless steel finish. 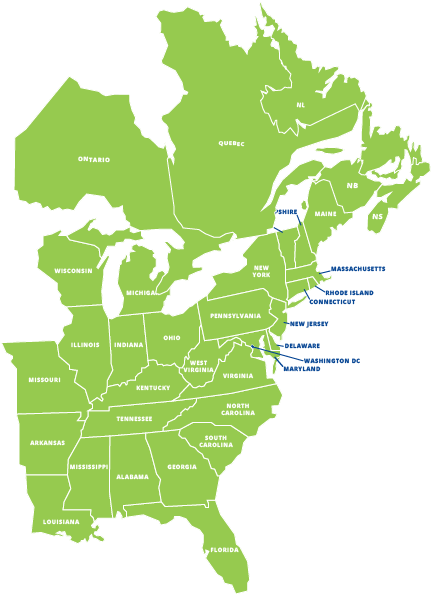 Why choose luxury cat condos from Direct Animal? Here are nine reasons. 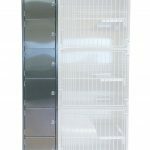 Vets, groomers and shelters might need a tall cat condo in a narrow space or need several cat condos that can be single, double, or triple stacked. 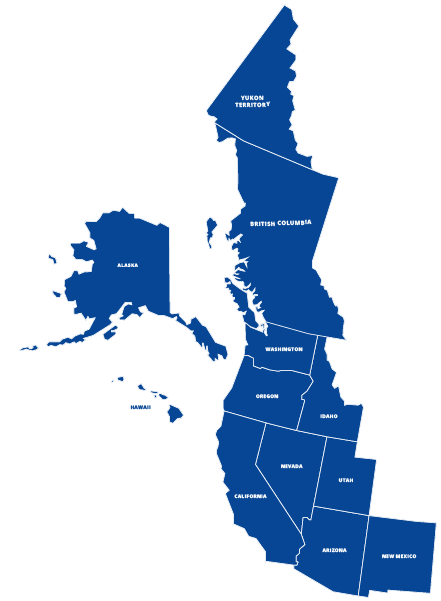 We’ll create the perfect single, double or triple stacked boarding options for your space. 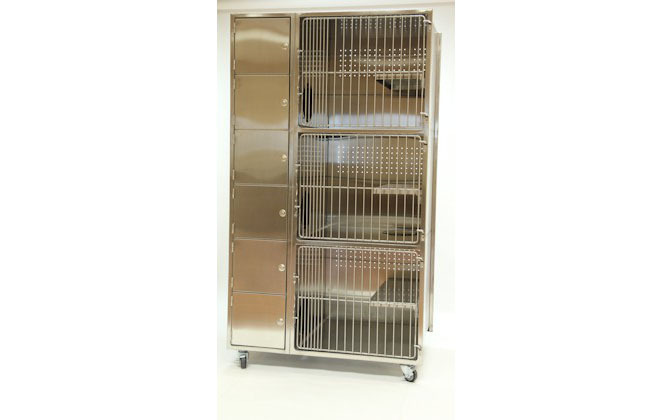 As a leading commercial cat condo manufacturer, we build heavy-duty stainless steel cat condos, fully welded in a 1-piece vertical design for lasting stability. 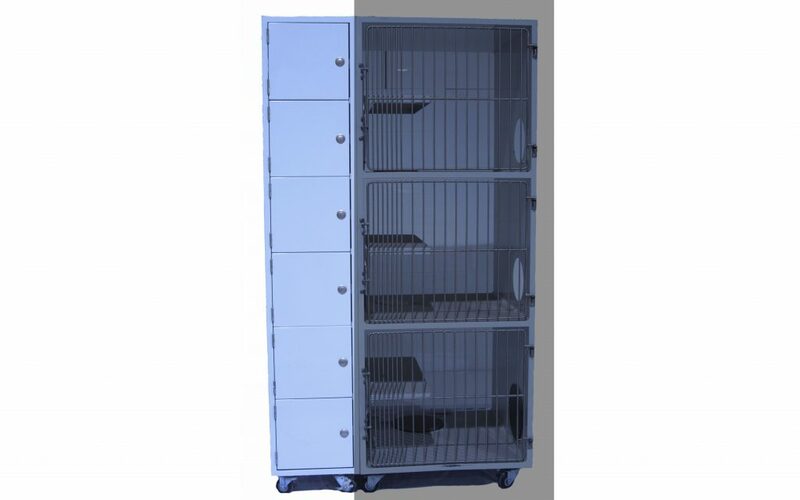 Our luxury cat condo designs feature both urine-retaining front edges and exclusive fluid-retaining vertical portals that prevent dripping into lower units. No other cat condos offer this benefit! Our seamless coved corners make for easy cleaning and won’t trap urine. 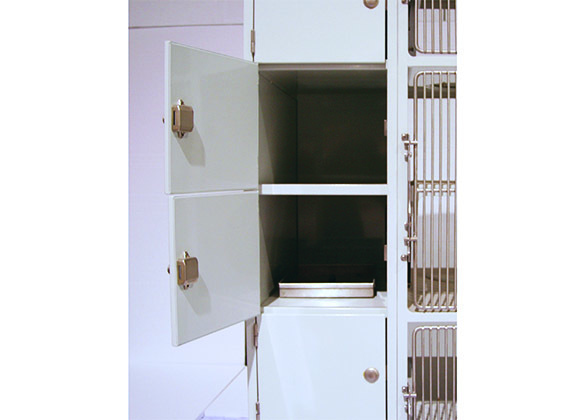 Plus, unlike laminate models, our professional cat condos will not warp or swell with moisture. 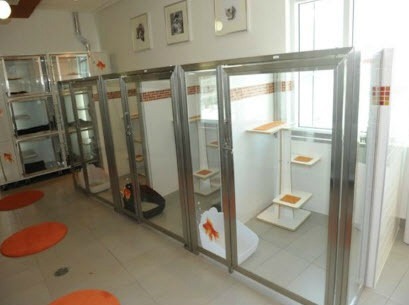 Our deluxe cat condos promote both cleanliness and health. 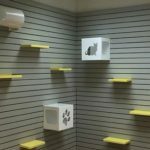 A separate kitty litter section keeps the living area clean, plus our perforated PVC ventilation tube design takes away the “bad” air to promote the healthiest environment. The seam-free coved corners make cleaning a breeze and don’t trap fur or litter particles. Our cat condos feature horizontal and vertical portals that open and close to promote cat-pleasing exploration, climbing, perching and lounging. 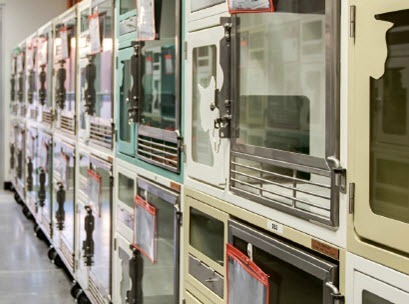 We offer ¼” clear tempered glass backs in our adoption cat condos. You can see the cats before and after grooming! Great for kitty adoption or other display needs. One-handed closure is a cinch with our professional cat condos. It’s easy to close units with our unique slam latch. Especially useful when your hands are full! 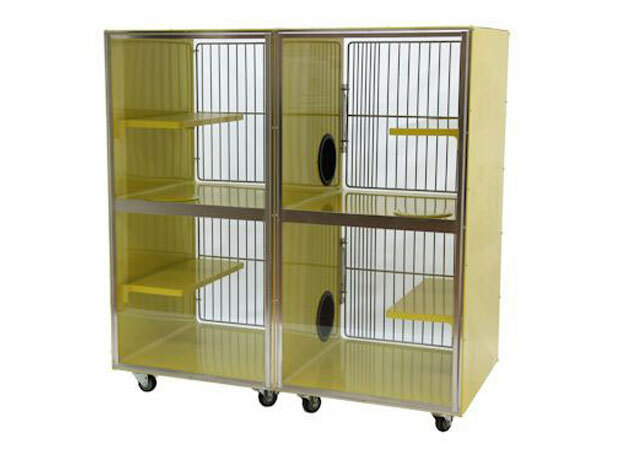 All our deluxe cat condo designs arrive with wheels/casters for easy mobility. 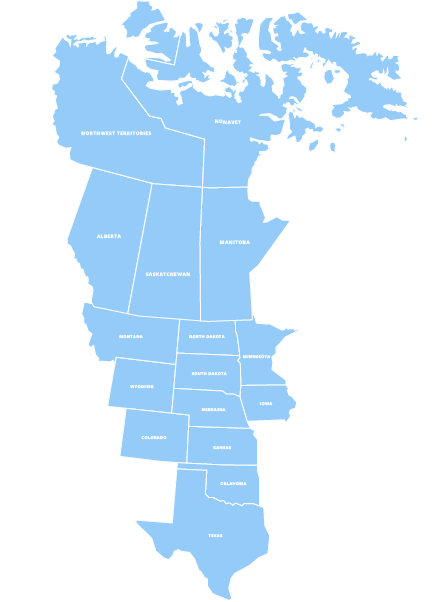 You can quickly place them wherever they are needed. When you order our luxury cat condos, they are shipped fully assembled. When you receive them, you will not have to do any frustrating setups! It’s all done for you. 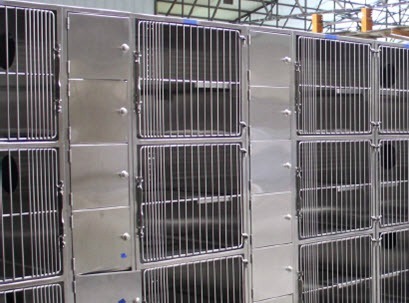 Interested in ordering cat condos for your luxury boarding facility, animal shelter, animal rescue center or veterinary clinic?